John Axelrod made the impossible possible! "The daring mixture of amber typical musical vocals and "West Side Story" sound, from romantic symphonic passages and gospel, jazz and soul, from acting, opera and worship, is a challenge for all. For symphonic composer, music club, street and youth choir, all of whom put on a sparkling show. 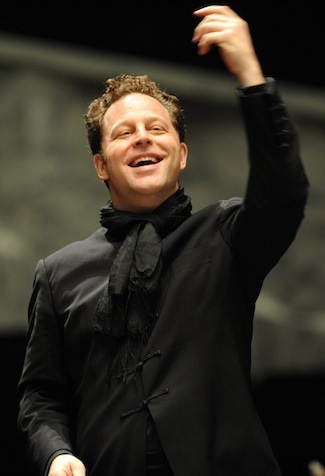 Conductor John Axelrod succeeds in making the impossible possible for a "normal" concert performance. He has all the players, singers and musicians in the sights and makes the symphonic in some places even really beautiful bloom."